Following a week of getting dragged on YouTube and Reddit for a performance throttling issue, Apple’s new MacBook Pro 2018 is now rid of the problem through a software patch. Apple issued a statement regarding the issue and its new fix, Laptop reports. 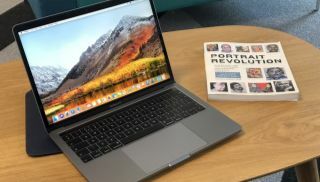 The fix comes after technology YouTube personality David Lee uncovered an issue in the 15-inch MacBook Pro with an Intel Core i9 processor that causes the chip to throttle itself when the laptop reaches a certain temperature while under load. Lee found the issue when rendering 4K video through Adobe Premiere Pro. According to Apple, this issue actually affected all versions of the new 13-inch and 15-inch MacBook Pro models regardless of the processor inside, and was the result of a bug within the computers’ thermal management systems. Apple has since added performance results for the very same task Lee attempted on video on its website. While we had not encountered these issues in our review of either 2018 MacBook Pro, this discovery and resulting solution couldn’t have come at a better time for Apple. Given that the company has recently refocused on its Mac hardware over the past few years following increasing complaints by disgruntled fans, another blemish on its reputation could be harmful. Apple wasn’t clear on exactly when the macOS 10.13.6 update would be available, at the time of writing, so be sure to keep checking that Mac App Store.